I began working in the building trade in 2002 and since that time I have seen many different standards amongst both homeowners and tradesman. Before branching off and forming Expert Plasterers I had envisioned providing a service that doesn't compromise on quality and standards in reflection to low budget but rather offers the same standards in every contract and even pushing the standards higher with every new project. I have dealt with many different people and can understand that we all like to negotiate the best deals, but a line has to be drawn somewhere. The pitfall of employing the cheapest labour or negotiating well below the asking price for labour is that the project will tend to be rushed and not completed with care and attention because the contractor will want to finish quicker in order to make his daily wage. Very professional outfit who did a great job with a tricky piece of under stairs plastering. The team were prompt and friendly. Very professional from start to finish. Quality workmanship and helpful service! 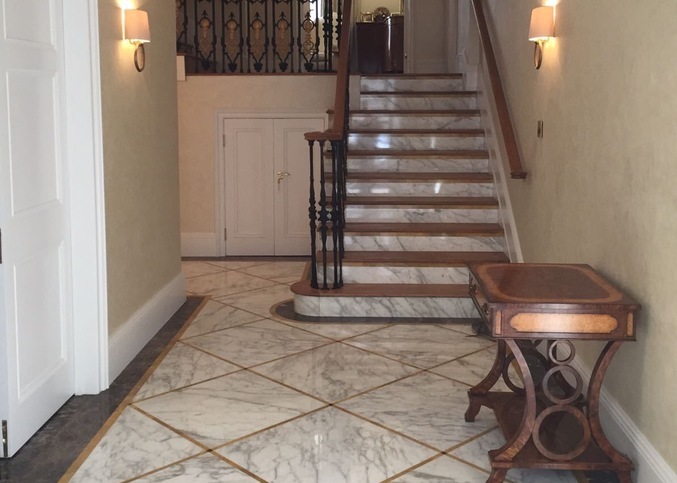 The most expensive quote doesn't always mean the service provided will be of a high standard but on the flip side, nine times out of ten the cheapest quote will usually result in a lower standard of workmanship. That being said it is always best to get at least three quotations and then compare prices, layout and background checks. In this way, you can really get a better feel for those who you will potentially be trusting your project and your money with. 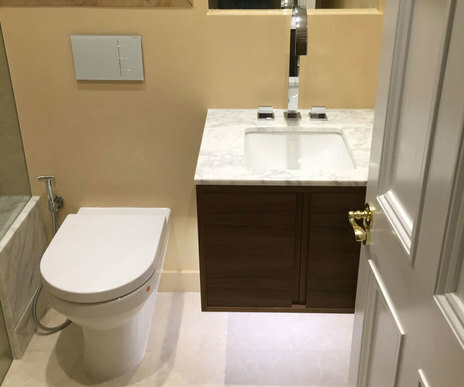 If anything seems unusual or is not satisfactory then you can remove them from your shortlist and focus on those tradesmen who you feel you can trust to do the job the way you want it completed. Once you have chosen who to entrust your project to, it is important to make everything clear about what is included in the price you are paying for especially if you have a big project at hand as it is frustrating for everyone involved when one party believes something is included and the other party does not. 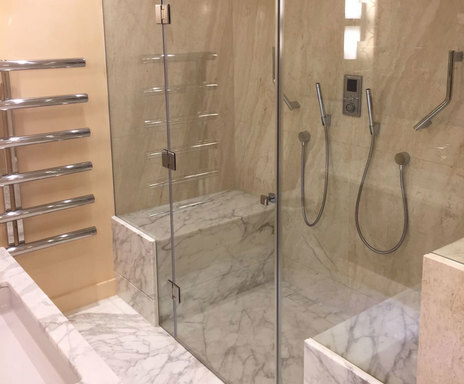 If you have any specific materials and designs that you would like implemented discuss these in further detail with your tradesmen in order to hear their thoughts and advice. 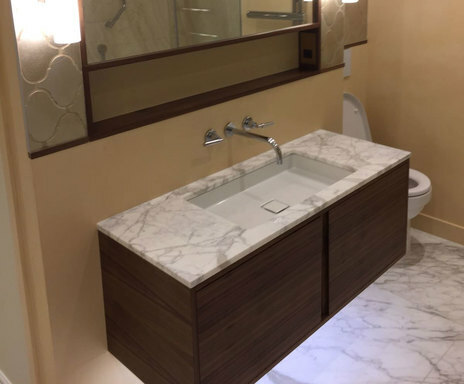 It is highly likely you will have other ideas during the progress of the project which you may like to be implemented into the agreed works as variations, so be prepared to discuss any extra costs for these and always have additional funds within your budget set aside to account for this. 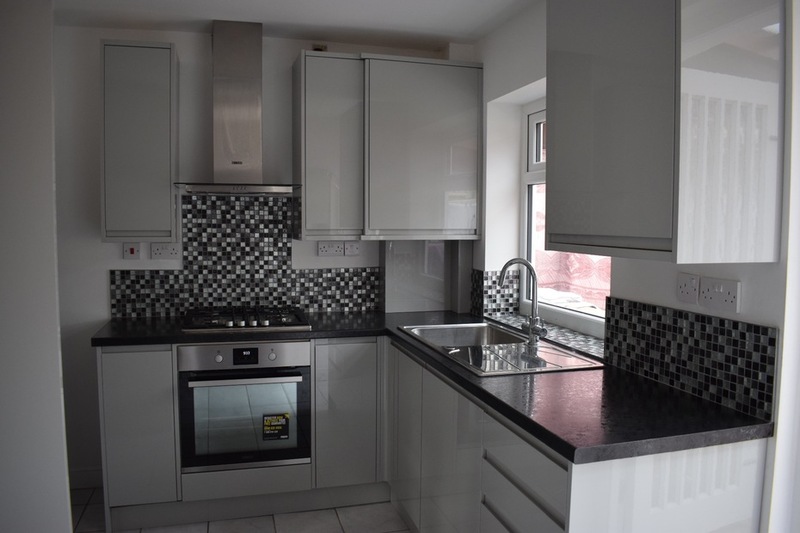 When having a new kitchen installed be sure to go over the designs thoroughly with your planner as it is at this stage that most changes will have to be made before the order is processed. Also, make sure your kitchen fitter is happy with the plan and materials being used as any confusion or mistakes could result in an expensive fix. 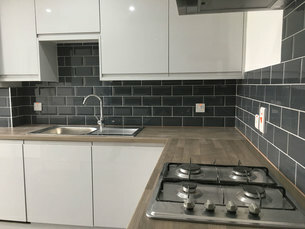 It is common for people to chose not to tile the whole floor when installing a new kitchen and to opt for only tiling up to the kitchen units as this saves a little money on tiles and labour, but it is advisable to tile the whole kitchen floor. This is because if any units ever need replacing or removing it makes the task a lot easier being able to pull out the units and also protects the underlying floor in the case of any leaks or spillages. 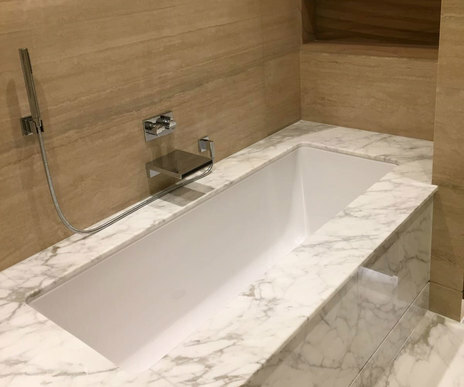 The same can be said when having a new bathroom installed with regards to tiling under the bath and this is especially true when fitted onto a wooden floor as we all know that a bathroom leak that comes through the ceiling and affects other rooms can be very costly to repair. 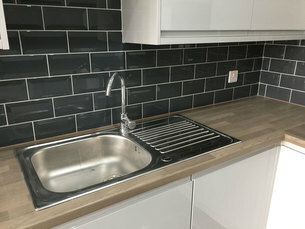 Don't get me wrong, as this will not completely protect your house against leaks from these rooms but it certainly will give you more time to identify the leak and to take action towards locating, isolating and clearing up the spillage even if it is temporary until a professional can tend to the problem. 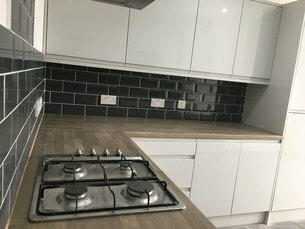 I'm sure many people have heard of the expression "you get what you pay for", and this is really brought to light when you are faced with a situation whereby the contractor, who was chosen solely because they gave the cheapest quotation, is not delivering the quality of work which you had initially anticipated. There's no need to break the bank to get the finish that you want but don't go to the opposite extreme and leave your future in the hands of an amateur. Quality should not be compromised as the bitterness of poor quality remains long after the sweetness of low price is forgotten.